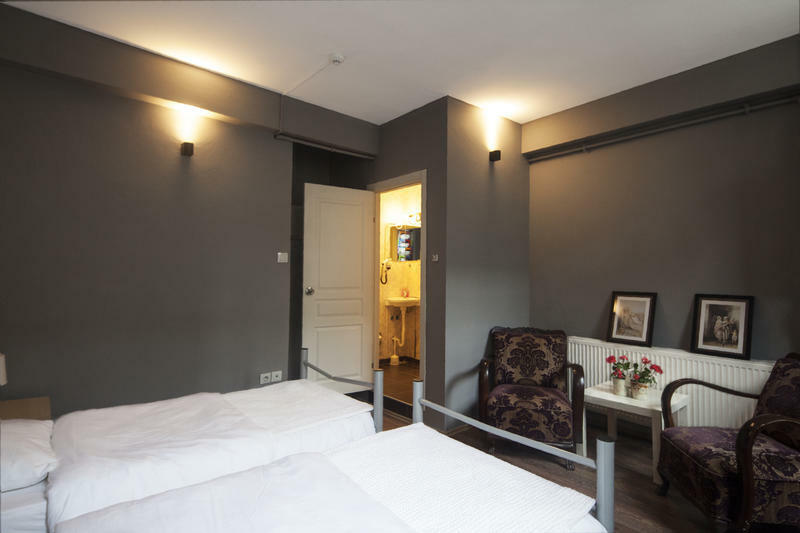 EastWest Guesthouse offers you warm and safe accommodation in Taksim ( Beyoglu), known as the heart of Istanbul, with perfect location and wide selection of rooms for every type of traveller and every budget. By staying in EastWest you will get the advantage of both visiting the historical places in a very short time (like 15 minutes) during daytime and enternaining yourselves at the lovely bars, shopping centers, restaurants and cultural events until late at night in the heart of Istanbul; where we located in! Besides our location, we have everything to keep our guests in safe and comfort. Each guest will have a locker inside the rooms and they will find towels on their prepared beds with clean sheets and covers. We also provide 24 hour hot water and free wifi connection. You can get online even you're lying on your bed! We have a common area which also have a kitchen section. Cooker, water dispenser and a fridge can be used by our guests. And we serve free breakfast between 9.00 11.00. Also, our guests can have drinking water and hot drinks from the kitchen anytime they like. They can relax while sitting on comfortable couches, listening to smooth music broadcasted by EastWest or having chat with the other guests in the other part of the common area, designed as seating set.